SANFORD, Fla.–George Zimmerman, the man accused of murdering Trayvon Martin, was found not guilty of second-degree murder and manslaughter on Saturday. The verdict is the culmination of a case that captured the nation’s attention and will undoubtedly be imprinted in America’s history. The not guilty verdict means the jury of six women found that Zimmerman justifiably used deadly force and reasonably believed that such force was “necessary to prevent imminent death or great bodily harm” to himself — Florida’s definition of self-defense. 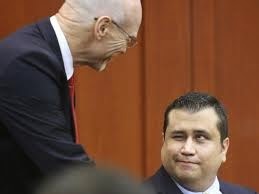 Zimmerman showed no emotion as the verdict was read. After the verdict was read, he smiled slightly and shook hands with one of his lawyers. The jurors decided Zimmerman didn’t “intentionally commit an act or acts that caused death” or demonstrate a “depraved mind without regard for human life” –Florida’s definitions of manslaughter and second degree murder, respectively. In a press conference after the verdict, Zimmerman attorney Mark O’Mara said his client will now need to get on with his life. “I think he’s going to be great. I think he is still worried. Hopefully everyone will respect the jury’s verdict,” O’Mara said. For all the euphoria on Zimmerman’s team, prosecutors faced a huge letdown. Outside the courtroom, demonstrators who supported Trayvon stood outside in stunned silence. But legal analysts say they were not surprised because the prosecution did not prove its case. “The prosecution had no clear narrative, witnesses that appeared poorly prepared, and at the end of the day, this is more of a loss by the prosecution than a win by the defense,” said criminal attorney Darren Kavinoky. Susan Constantine, a jury consultant and body language expert who attended Zimmerman’s trial regularly, said the verdict meant there was reasonable doubt. “They just could not put the pieces together,” she said. The case has gripped the nation since the shooting happened on Feb. 26, 2012. Police initially did not charge Zimmerman with a crime, citing Florida’s “stand-your-ground” law, which allows someone who believes they are in imminent danger to take whatever steps are necessary to protect themselves. 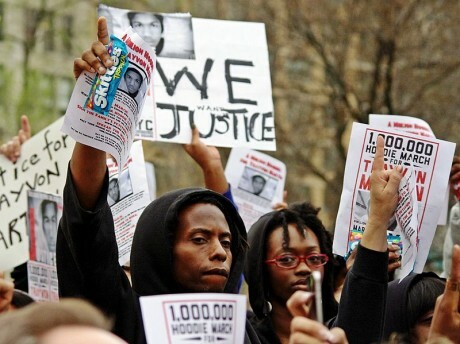 Protests ensued in several cities, including New York, by supporters of Trayvon’s family. Many protesters voiced the opinion that Trayvon was targeted and killed for racial reasons. Trayvon, 17, was black and Zimmerman is Hispanic. Emmett Till, a 14-year-old black young man, was tortured, grossly disfigured and murdered in 1995 in Mississippi after being accused of flirting with a white woman. In Zimmerman’s case, State Attorney Angela Corey stepped in and charged Zimmerman with murder on April 11, 2012. Prosecutors however never argued that Zimmerman racially profiled the teen and instead said the teen was profiled as a criminal. The five-week trial of Zimmerman, held in the same Florida city where Trayvon was killed, brought the facts of the case under a nationally televised spotlight, with every moment captured on camera. More than 50 witnesses testified and on the first day of deliberation requested a list of the plethora of evidence that lawyers presented. Some of the items include several statements Zimmerman gave to police, Trayvon’s autopsy report and photos of both Zimmerman’s injuries and Trayvon’s body. Witnesses included forensic experts who testified about the angle in which Trayvon was shot, the position Zimmerman’s gun may have been in, and where DNA and blood was found. Other witnesses offered conflicting statements about how the fight happened, who had the upper hand when Zimmerman shot and who was screaming for help in a 911 call recording. Eyewitness Jonathan Good said he saw Trayvon on top of and striking Zimmerman moments before the teen was shot. While Selma Mora, who lived a couple of houses down from Good, said Zimmerman was on top and told her to call the police. A 911 call recorded screams and the fatal gunshot moments before the shooting. Who was screaming was a critical question before the jury. The defense called nine people — including both of Zimmerman’s parents — to testify that the screams belonged to Zimmerman. 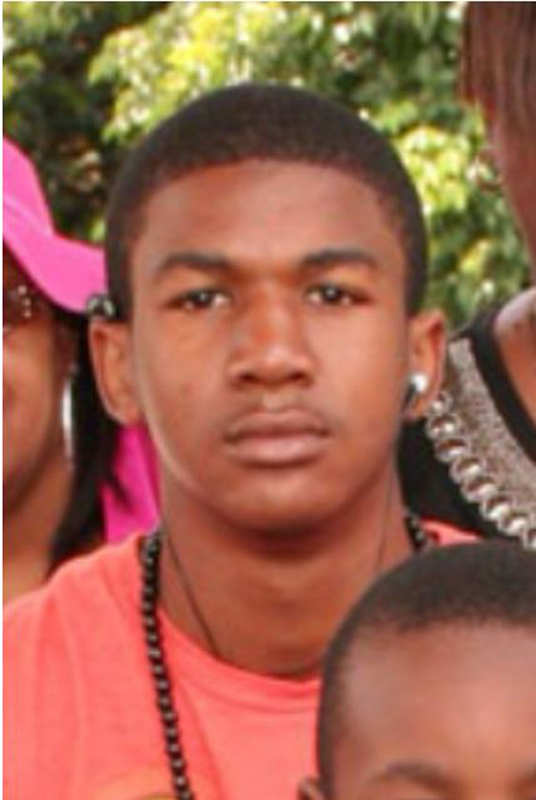 Both of Trayvon’s parents and his brother all said Trayvon was screaming moments before he was shot. In at times riveting detail, prosecutors tried their best to convince jurors that Zimmerman was a killer who “tracked” Trayvon, an innocent teenager, and murdered him before police arrived. Fellow prosecutor Bernie de la Rionda focused heavily on the state’s theory that Zimmerman, frustrated by recent burglaries in his neighborhood, profiled Trayvon as a criminal and choose to take the law in his own hand. The majority of legal experts USA TODAY interviewed however said the prosecution had a weak case based largely on circumstantial evidence. Some said the state could possibly succeed if they appealed to the emotions of jurors. However, sympathy was not supposed to play a part in the verdict and defense attorneys reminded jurors of that fact repeatedly. Mark O’Mara, an attorney for George Zimmerman cast Trayvon as the aggressor saying the teen may have been charged with aggravated battery had he survived the shooting. Trayvon, instead of going home, likely hid, waited for Zimmerman and confronted him, the lawyer said. O’Mara explained saying Trayvon used his fists and a concrete sidewalk to threaten great bodily harm. He also focused on what he said was the state’s failure to prove Zimmerman did anything legally wrong. “Where is one shred of evidence to support the absurdity that they are trying to have you buy?” O’Mara asked pointedly in his closing statement to the jury. Elizabeth Parker, a former prosecutor who is now a criminal defense attorney in Palm Beach, Fla., said the defense did a good job of humanizing Zimmerman . One such is example was the testimony of Sanford police officer Christopher Serino, called by the state and later the defense, Parker said. Serino agreed with prosecutors that Zimmerman may have been profiling Trayvon but said no physical evidence or witness statements contradicted Zimmerman’s claim of self-defense and that the medical examiner’s report supported Zimmerman’s version of events. Still, Valerie Houston, pastor of Allen Chapel AME Church in Sanford, said she hoped Zimmerman was convicted because he followed Trayvon and initiated the events leading up to the shooting. Many meetings in support of Trayvon and his family were held in her church and Houston joined those who early on asked for Zimmerman to be arrested. Now that the verdict is in, people who share Houston’s views will have to accept that the justice system believes Zimmerman is innocent. However, despite now being a free man, Jose Baez, a Florida criminal defense attorney, said Zimmerman will likely go into hiding and be unable to live a normal life for some time. “The end is not near for George Zimmerman,” he said.